It may not look like it, but Liuzhou is one of China's oldest cities. And the locality has the longest recorded history in Southeast Asia. 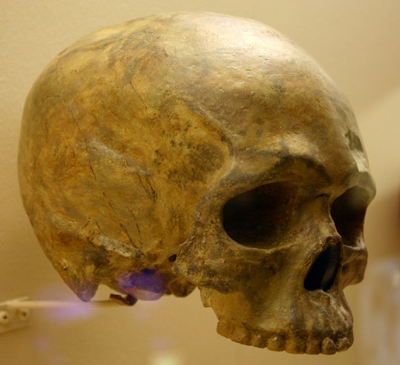 In September 1958, a fossilized human skull was found in a cave sixteen kilometres southeast of Liuzhou. The fossil was named Liujiang Man by the Institute of Vertebrate Palaeontology and Paleo-anthropology of the Chinese Academy of Sciences. Liujiang Man, who lived seventy thousand years ago, is the earliest trace of modern Homo Sapiens found to date in Southeast Asia. The original inhabitants of the area are the Zhuang people. They are related to the Thai people and probably arrived in Guangxi via Vietnam. Ancient burial sites have been discovered which bear a strong resemblance to those in Vietnam. In 221 BC, the Qin dynasty emperor, Qin Shi Huang invaded what is now Guangxi and added it to greater China. The city itself was founded in 111 BC, when it was named Tan Zhong. In 592 AD it became Ma Ping, then in 742 A.D., the first year of the reign of Emperor Tianbao of the Tang dynasty the city was named Longcheng or "Dragon City"' This name is variously ascribed to the river resembling a dragon curled around the city or to a legend in which says that during the Northern and Southern Dynasties (420-589), eight dragons emerged from the Liujiang River. For many years, Liuzhou was a place of exile for disgraced government officials. Most famous of these was the writer and statesman, Liu Zongyuan (773 - 819) who is commemorated by a park in the city. In 1736, the first year of the reign of Emperor Qianlong, the city was renamed Liuzhou, which roughly translates as 'the place of the willow trees'. The Taiping Rebellion (1851-1864), in which at least 30 million people are believed to have died, was launched from Guiping near Liuzhou. The rebellion was led by Hong Xiuquan, who declared himself to be the younger brother of Jesus Christ. Of some historic and architectural interest is one of the few remaining pre-war structures. This 1920s building was the residence of Liao Lei, an important Kuomintang general and later governor of China's Anhui Province. In December 1938, the Government of Korea arrived in Liuzhou to organise opposition to the Japanese troops occupying their country. They remained until April 1939, when they were forced to move again when Guangxi came under threat from the Japanese. Their headquarters is now a museum (next to Yufeng Park). During World War II, Liuzhou was a base for the US Air Force 14th air fleet who were involved in air battles against the Japanese. The city was occupied by the Japanese from November 1944 to June 1945. When the city was finally retaken by Chinese and American troops, it had been almost destroyed. This explains the almost total lack of old buildings etc. Around the same time, the leader of North Vietnam's Communists, Ho Chi Minh was detained by the Kuomintang police in Guangxi in August 1942. The communist parties of Vietnam and China made concerted efforts to rescue him. After Ho was released in September 1943, he lived in Liuzhou (Liushi Road) for one year. His residence was restored in 2002 and is now a museum. Ho Chi Minh returned to Liuzhou in 1954 for a secret talks on the Indo-Chinese situation with Chinese Premier, Zhou Enlai, which took place in Building No 1 of the Liuzhou Hotel on July 3rd. During the Cultural Revolution (1966-76) Liuzhou was the scene of major battles between rival factions of the Red Army. The bookshop in Liuzhou Museum has a number of books on local history - all in Chinese, of course.